Bungalow West in Kensington Market got me good - one look at the red and white party dresses in the window and I was in love. 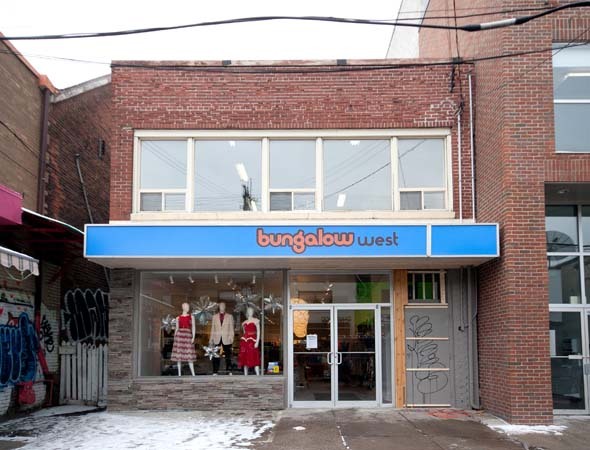 The newest addition to the Bungalow family, Bungalow West has all the style, fashion and vintage flair that I have come to expect from its counterpart. 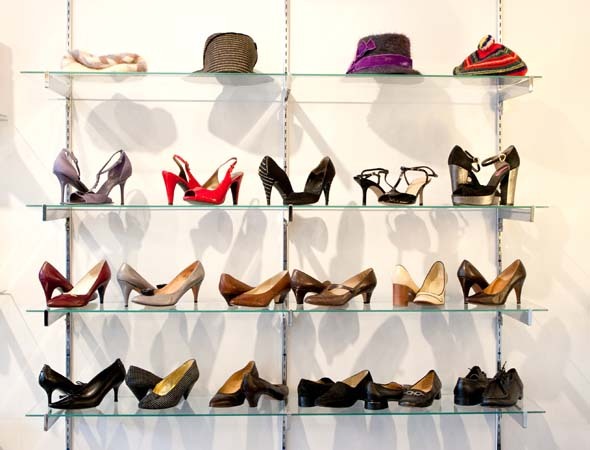 Gorgeous furs, sequined tops and hats, and Allen Edmonds oxfords ($69.99 to $79.99) all hit me in a wave of an anticipation, as the shop was exactly how I had imagined it to be - heaven. Being sidetracked by an amazing gold sequined sleeveless top ($34.44), it's hard to believe that Bungalow West is purely a vintage store. It's modern yet retains elements of Bungalow such as the wooden detailing of the countertops. 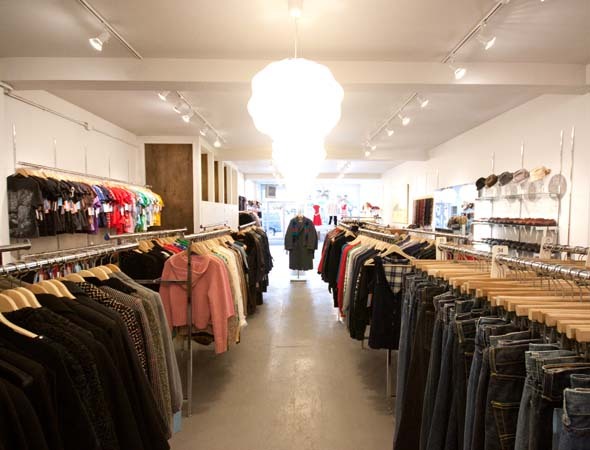 Christine, a Bungalow enthusiast and long time sales representative, explained that Bungalow West is a "step up from your regular vintage store". No arguments there, as I fought off the urge to purchase a gold trench ($150) and a brilliant green retro 60's dress ($39.99) hanging on racks of beautiful and colour-coordinated clothing, waiting for me to take them home. Expect a wide variety in price range, from a $19.99 silk robe to $395 retro and reupholstered single black and white wave patterned couch - one of three pieces of furniture in the store. 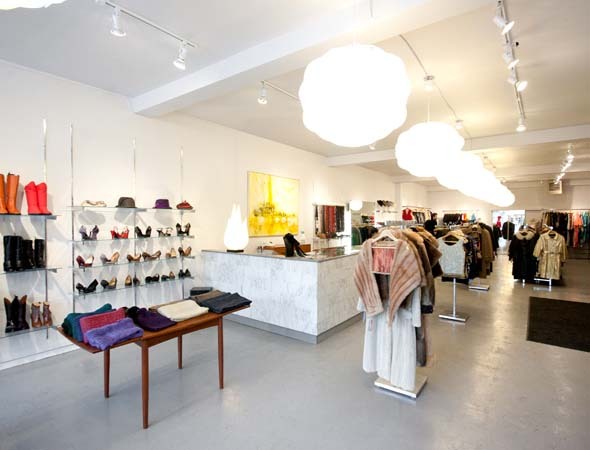 However, don't expect all the traditional retro housewares and furniture seen at Bungalow. 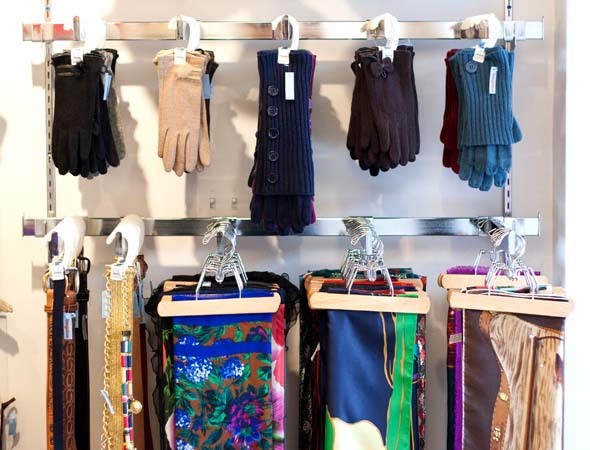 Bungalow West specializes in vintage clothing only, with the exception of new scarves and winter gloves. 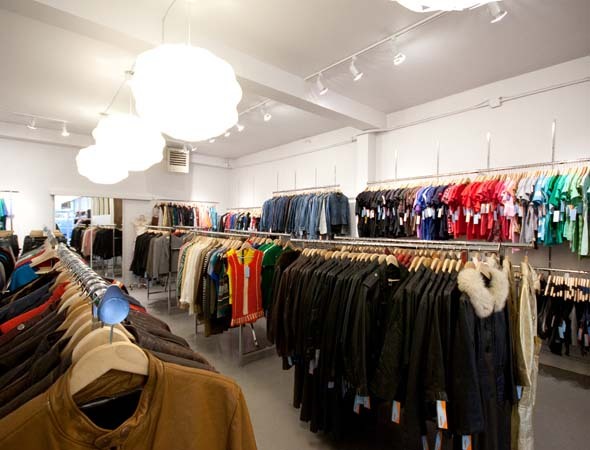 And while Bungalow West prides itself on being the product child of Bungalow, only furs, vintage hats and silk robes can be found at Bungalow West. Worried that fur flap hat ($39.99) at Bungalow West is going to disappear? What about that four piece Dutch dining table at Bungalow? Thank the owners Paul Salsman and Jessica Zimmermann for putting both stores conveniently across the street from each other. Bungalow West is open weekdays 11-6:30 and weekends 11-6. Writing by Shareen Sandhu. Photos by Dennis Marciniak.